This group trip, including transportation, dinner and drinks, is included in your package. 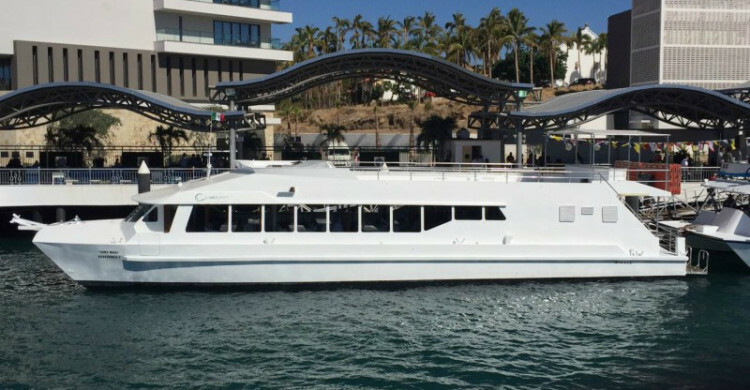 On Friday evening attendees and their guests will enjoy a Sunset Dinner Cruise aboard the 75 foot luxury catamaran, the Cabo Wave. 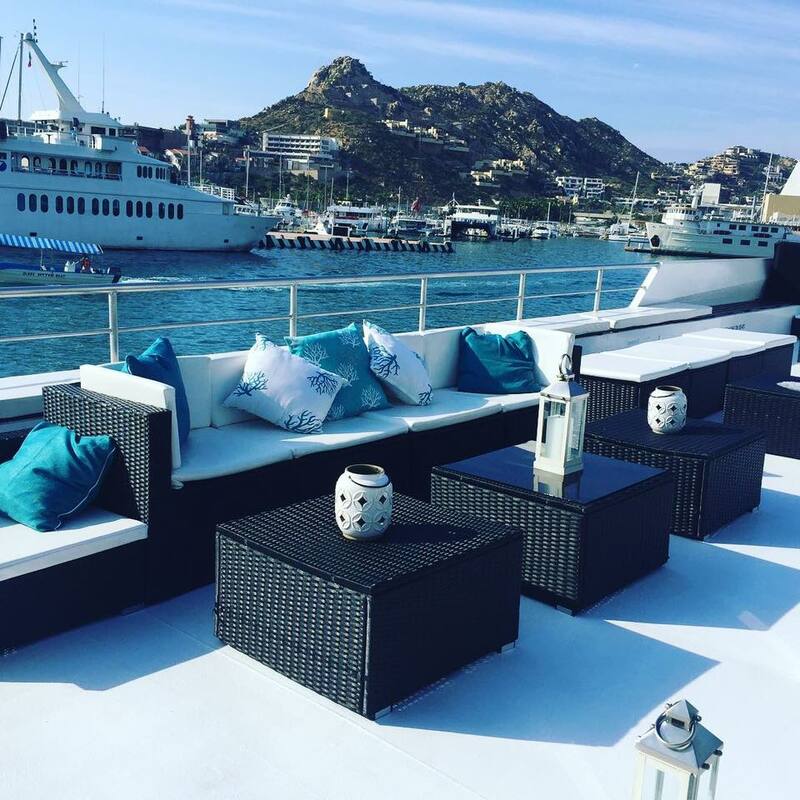 This is one of the best spots in Cabo to enjoy sunset and nightfall at sea. Enjoy music and relax with a drink while we cruise around Lands End and along the Pacific Coast. The chef will prepare a fresh and authentic hot fajita dinner, followed by a little dancing on the top deck! We’ll wrap things up when we arrive back at the resort. From there make a night of it or turn in early to be ready for an optional big day of Marlin fishing or whatever you choose on Saturday!